RARE FIND! 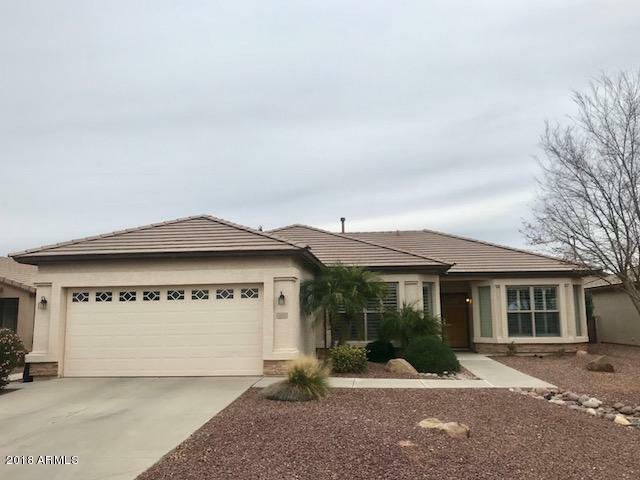 COMPLETELY FURNISHED with barely used interior design furniture and accessories, this beautiful, popular Daybreak home has a great open floor plan with 18'' Diagonal Tile. With N/S Exposure,the windows in front boast plantation shutters and the back ones have beautiful Roman Shades. The open kitchen has raised panel 42'' cabinets with a large island and a breakfast bar with beveled corian counters. The laundry room is oversized with cabinets and a sink. Master bath has a raised vanity and safety grab bars. There are ceiling fans throughout. The back yard has been professionally landscaped and has a 50' covered patio. This home shows pride of ownership and has been well maintained. The price reflects fully furnished or buyer can purchase furniture on separate bill of sale.